Although President Trump has now stated and written that fired FBI Director James Comey told him on three separate occasions that he was not the subject of an investigation, sources cast doubt on that claim. It would be out of character for Comey to have made that statement even once, much less three times, to the president, one law enforcement source told CBS News. Along with his firing, the source noted a high level of "interfering" in the Russia probe. As for the White House assertions that "countless" FBI rank-and-file employees wanted Comey out, the source said that was a "load of cr*p" to think that agents wanted to see him ousted. That sentiment is shared by acting FBI Director Andrew McCabe in less colorful language. 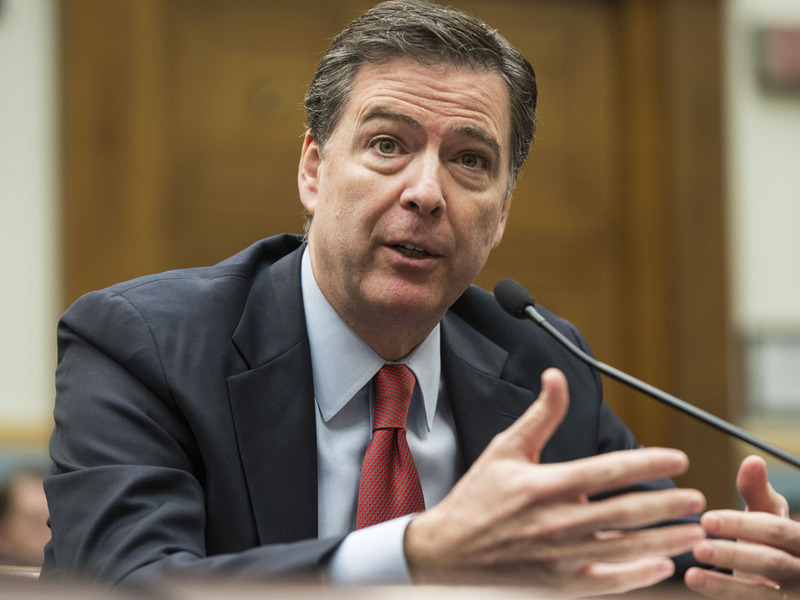 He told a congressional panel Thursday, "Director Comey enjoyed broad support within the FBI and still does to this day. We are a large organization. We are 36,500 people across this country, across this globe. we have a diversity of opinions about many things, but I can confidently tell you that the majority, the vast majority of employees enjoyed a deep and positive connection to Director Comey." Trump says firing Comey was "a great service"
This was the case in spite of the divided opinion within the agency over Comey's July 2016 announcement that he would not recommend Hillary Clinton be charged for mishandling classified information, in the investigation into her use of a private server for her email. Within the FBI, the Russia investigation is considered to be "a crisis," the source said, and "there is a whole lot of interfering." The succession of events surrounding Comey's firing is not considered to be a coincidence by the agency. In the week before he was terminated, Comey asked Deputy AG Rod Rosenstein for additional resources to pursue the Russia investigation. Further, his firing came a day after former acting Attorney General Sally Yates had testified before a Senate panel that she had warned the White House that National Security Adviser Michael Flynn "essentially could be blackmailed" because he apparently had lied to his bosses about his contacts with Russian Envoy Sergey Kislyak. On the same day that Comey was fired, federal prosecutors probing Russian meddling issued grand jury subpoenas for business records of Flynn associates. And a day later, President Trump held his highest-level meeting with a Russian official, an Oval Office sit-down with Foreign Minister Sergey Lavrov. Also present -- Sergey Kislyak -- who was at the center of the conversations leading to Flynn's firing in February. No U.S. press were allowed into the meeting with Lavrov and Kislyak. U.S. reporters were forced to look at the Kremlin's social media feeds for posted photos of the president conversing with Lavrov and shaking hands with Kislyak. The images, especially the photo of Kislyak and Mr. Trump shaking hands, "were laughed at" by law enforcement, the source said. Even without Comey, the Russian investigation continues at a heightened pace. "FBI Agents are good at keeping their heads down and taking the evidence where it leads," the source said. I asked, "Even now" are they working at this? The response came back: "Yes, they are now."